On arrival, seat in coach guests will be met and privately transferred to hotel. Self-drive guests will collect a rental car and drive to the hotel. Breakfast. Travel across the Canterbury Plains before arriving at Lake Tekapo. 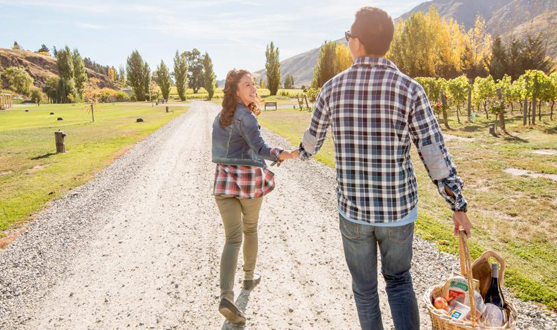 Continue south to the town of Twizel before travelling through the historic Central Otago region to Lake Wakatipu and the 'Alpine Resort' of Queenstown. Breakfast. A free day to explore the endless optional attractions available and visit historic Arrow town. Optional activities not included in the tour price. Breakfast. Experience the peacefulness and tranquility of Doubtful Sound by coach with 2 boat cruises included, on Lake Manapouri and Doubtful Sound. 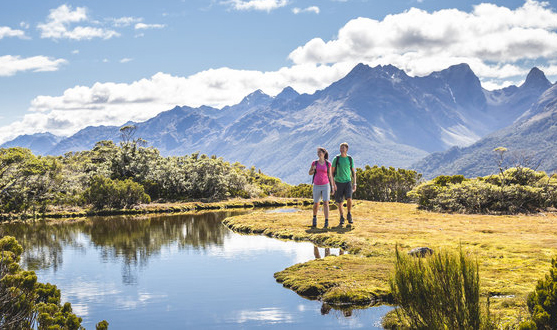 This area is not visited as much as Milford Sound and is a piece of paradise! Breakfast. Depart Te Anau this morning and travel to Invercargill wre you will be transferred to Bluff to collect the Stewart Island ferry. On arrival in Oban on Stewart Island, you will enjoy a guided tour of the island by mini coach. The remainder of the day is at your leisure. Breakfast. Today is at your leisure on Stewart Island until check in for your return flight. There are many optional wildlife cruises and walks (optional activities not included in the tour price). On arrival in Invercargill you will be transferred to your accommodation. Breakfast. Today seat in coach guests will travel inland to Gore then through to Dunedin by coach. Self drive clients may choose to drive along the Catlin's Coast, past sweeping beaches and towering cliffs to the Scottish influenced city of Dunedin. Breakfast. Your arrangements conclude today with a departure transfer or the return of your rental car. We hope you would have ended your holiday with wonderful memories. 10 nights' accommodation at the hotel of your choice. All sightseeing entry fees included (as mentioned in each itinerary). A choice of four accommodation options. Choice of Seat in Coach or Self Drive available. All tours as mentioned above. Guaranteed early check in / late checkout charges. Booking will be subject to availability of space / rooms at the time of booking. You will be provided alternatives if units suggested are not available. You will be advised of any supplementary costs or reductions. All tours can be added to. Terms and Conditions apply. For more details and promotional offers if any, please contact the nearest TBi office.